The Cessna 172 is the most popular flight training airplane to have ever been built. Production started in 1956 and still continues today. Over 50,000 have been delivered, and this airplane has one of the best safety records of any airplane, ever. The Cessna 172 has been used as a trainer, a family airplane, a business airplane, and has even been used by the United States Air Force for their training purposes. Ohio State's fleet of Cessna 172’s are used for private pilot training, instrument pilot training, and commercial pilot training, as well as currency training and introductory flights. Like its smaller sister the Cessna 152, the Cessna 172 is made out of aluminum and has a 160 horsepower Lycoming engine. The Cessna 172 can cruise as high as 130 miles per hour, has four seats, and with a total of 40 gallons of fuel, the airplane can travel up to 500 miles. All of Ohio State’s Cessna 172’s are equipped with IFR-approved GPS units. The Piper PA-28R-201, or Piper Arrow serves as the complex training aircraft for the Ohio State flight school. By definition, a complex airplane has retractable landing gear, flaps, and an adjustable pitch propeller. These planes are equipped the airplanes with the Avidyne glass cockpit displays, a Garmin 650 & 430, as well as research equipment to test Angle of Attack equipment for the FAA. The Piper Arrow is equipped with a 200 horsepower Lycoming engine, which enables the airplane to cruise at speeds up to 140 miles per hour. The airplane has four seats, and with a total of 72 gallons of fuel, it can fly as far as 700 miles. The Piper Arrow is normally used at the end of the commercial pilot training, as well as for certified flight instructor training. The Cessna 310 serves as the multi-engine trainer for the flight program. This particular Cessna 310 has been equipped with an aftermarket modification kit where each engine delivers an impressive 300 horsepower. That kind of power enables this Cessna 310 to cruise at speeds of over 220 miles per hour. With 163 gallon fuel capacity it can carry six people a distance of 1000 miles. This Cessna 310 is equipped with advanced equipment such as weather radar, anti-ice systems, yaw damper, and other systems that are normally found in corporate aircraft, as well as a Garmin 650 touch screen GPS. Traditionally, this airplane is one of the last airplanes our students will fly before they graduate. Ohio State bought a Cirrus SR-20 G3 in 2008 to complement the predominantly Cessna training fleet. This airplane is truly state-of-the-art, being the only airplane in Ohio State’s fleet that is constructed out of fiberglass and carbon fiber as opposed to the traditional aluminum. 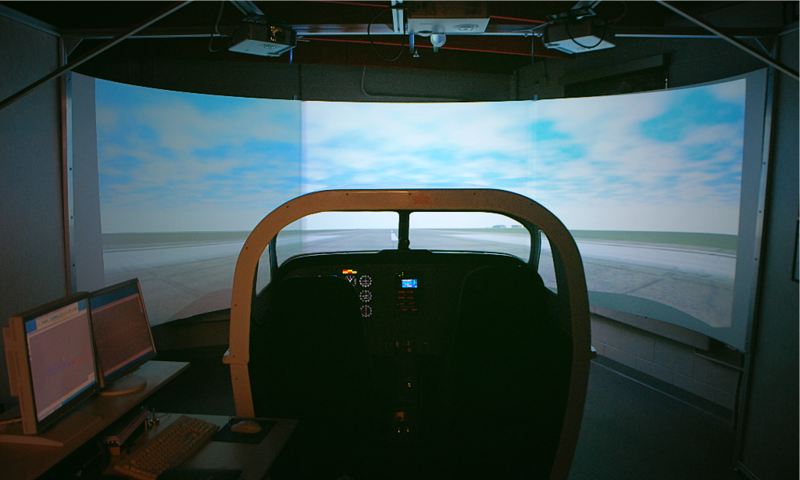 Cirrus aircraft have many innovative features incorporated into the design, such as a redesigned Avidyne glass cockpit display, XM weather and radio system, EMAX engine and fuel monitoring system, airbags built right into the seat belts, and perhaps the most well-known feature of all: the CAPS parachute system. CAPS is a parachute built into the airplane which, when activated, will lower the whole airplane to the ground intact. The Cirrus SR-20 G3 at Ohio State can be used for private pilot, instrument pilot, commercial pilot, and technically advanced aircraft training. The Cessna 152 has been a primary trainer for The Ohio State University for the past 25 years. The airplane itself is regarded as being one of the best trainers ever built, and more pilots have trained in the Cessna 150/152 than any other airplane. Many pilots regard the Cessna 152 as being very easy to fly, very forgiving, and able to withstand those “less than perfect” landings that do occasionally happen as a new student begins their training. The Cessna 152 has two seats, and a single Lycoming engine capable of producing 110 horsepower. The airplane will cruise around 100 miles per hour, and with a 26 gallon fuel capacity, it has a range of approximately 350 miles. 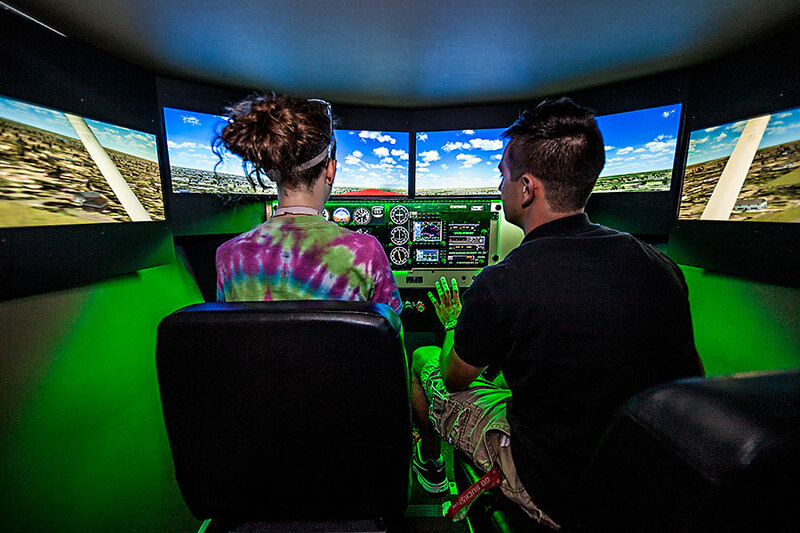 Ohio State’s Cessna 152 is certified for day and night operations and is normally used for private pilot training. We recently added a Piper Super Cub to our fleet through a generous donation. This airplane has been a great addition allowing us to offer tailwheel training and expanding the versatility of our rental fleet.